Everything is possible for the Lord Almighty and a mechanic! With this as his motto, Johs. Vestre established his first mechanical workshop in Haugesund in 1947. Under wretched conditions in an old German barracks, he pursued his dream of running his own business. The production of saw clamps and simple pipe constructions soon led to the manufacture of benches and playground equipment for parks all over Norway. 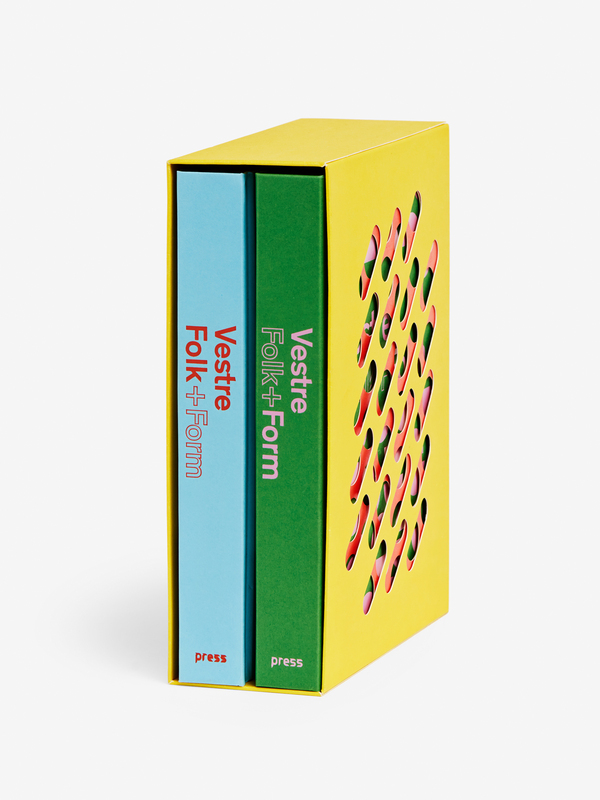 Folk+Form is the inspirational story of the industry and design adventure known as Vestre and the people who have made it what it is. In a riveting and unusually candid account, we follow the family firm closely through three generations. It has experienced remarkable triumphs as well as difficult challenges, but has been driven throughout by a compelling vision and an unrelenting compulsion to create. In Folk+Form this history unfolds in text and pictures, and provides a unique insight into the development of Norwegian society and industry from the years between the wars up to the present day. With its uncompromising attitude toward design and quality, Vestre has shown that it is possible to establish a flourishing industrial enterprise in Scandinavia – one that is well positioned, moreover, to thrive well into the future. 70 years after its founding, Vestre remains one of Europe's leading makers of urban furniture, its goal being not just to furnish the world, but to make the world, every day, a little bit better place.